Watch the Housing Stocks closely now. They will Tell You When a Break is Coming. IF THIS IS NOT A HOUSING BUBBLE ABOUT TO BREAK? will be very broad and far-reaching. break comes, there will be no bargains, quite possibly, for years! 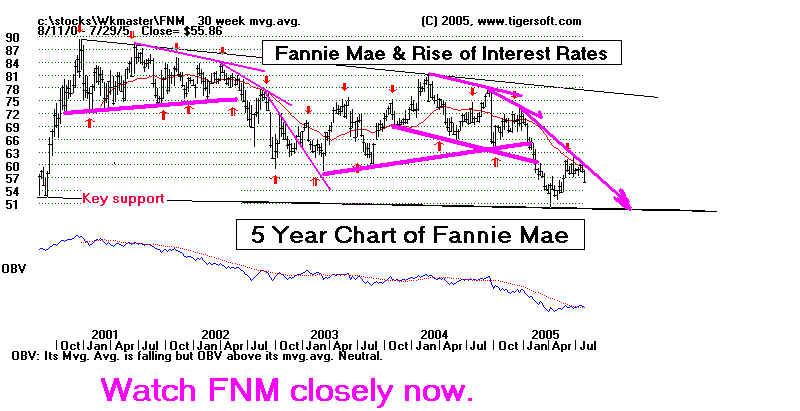 of flat prices to move prices back in line with historical averages. Bush Administration is not interested in losing favor with home owners. "Housing is just as prone to irrational exuberance as is the stockmarket. a home in the expectation that its price will continue to rise strongly over time. house prices will take such a tumble that they take whole economies with them..."
recommend Tiger's 160 page Book: "SHORT SELLING: Killer Profts in Any Market"
Tiger Charts of PHM and LEN show heavy Professional Selling. We see this in the declining CLosing Power and red distribution. 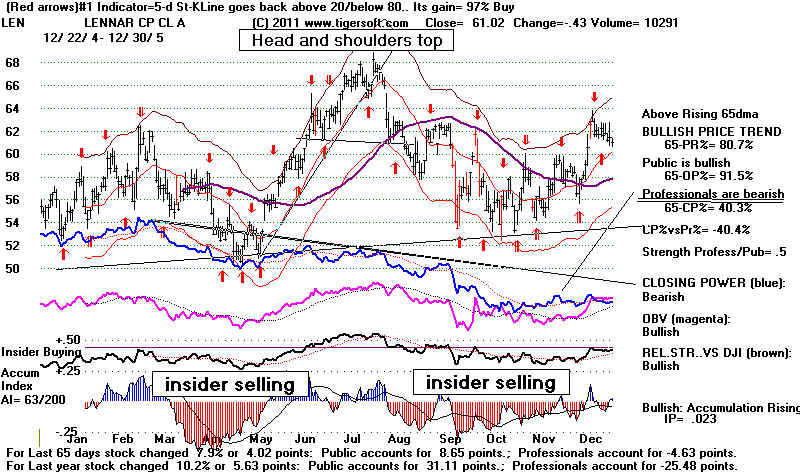 This chart was added here to show how well TigerSoft calls major tops.